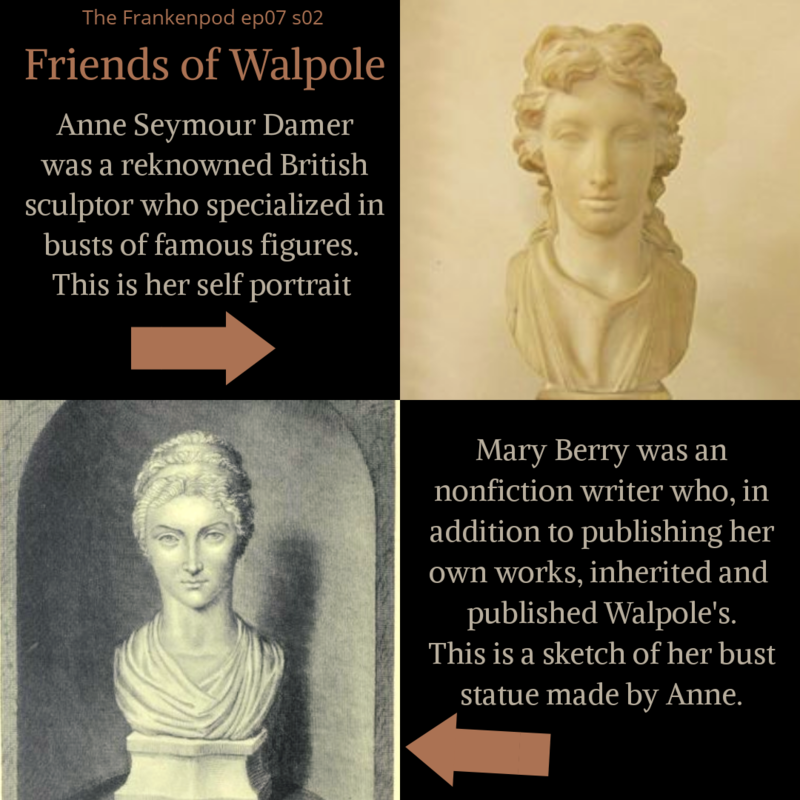 Who the hell was Ann Radcliffe? 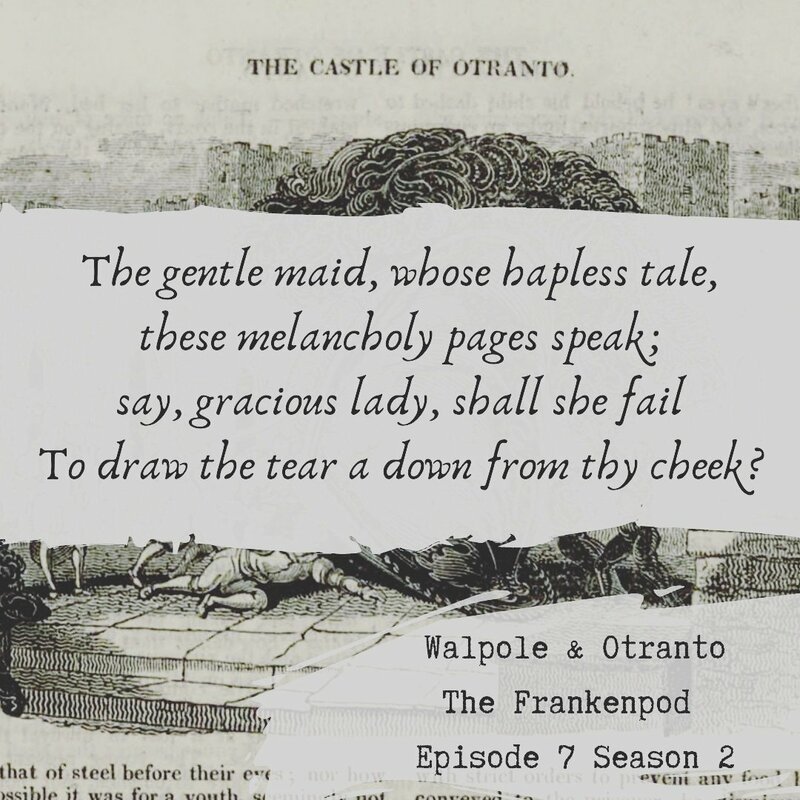 This episode accompanies our episode on Ann Radcliffe. 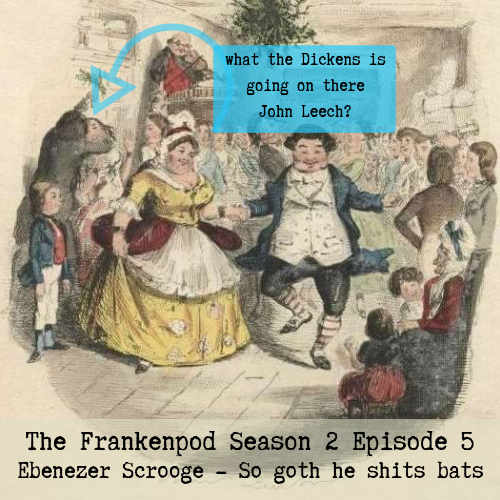 That is The Frankenpod, episode 9 season 2. Ann Radcliffe was one of the foundational writers of the gothic novel. But the term gothic novels was not in common usage so they were referred to as romances. Ann Radcliffe was born ann ward on july 6th 1764. Her dad was a haberdasher and her mum was, well, her mum. She stayed with her uncle Thomas from time to time too. 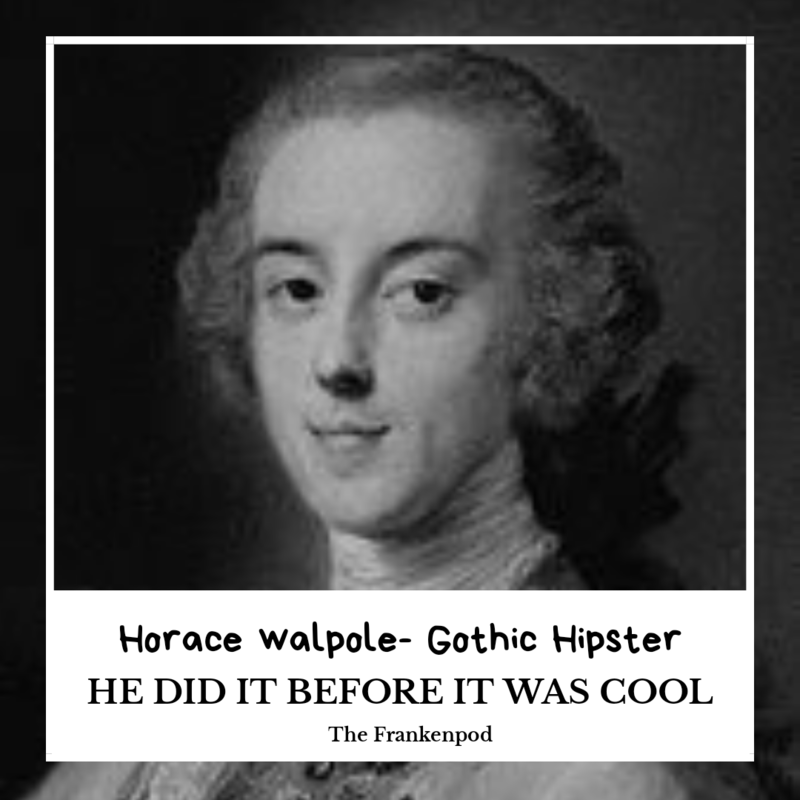 This is in contrast to Horace walpole who we talked about recently who was pretty well off an powerful. Are you noticing how few details we have about Anne? They had no kids but they did have a dog named Chance. William who was an editor of The English Chronicle was often very late to come home, so Anne started writing. The Castles of Athlin and Dunbayne 1789. A Sicilian Romance 1790, in two volumes. The Romance of the Forest 1791, in three volumes. 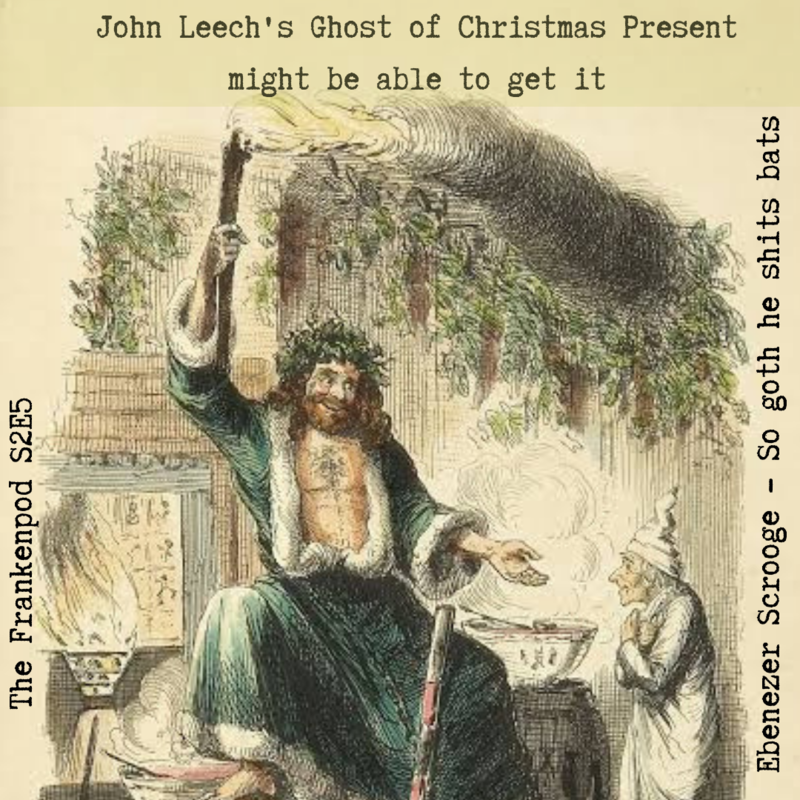 The Mysteries of Udolpho 1794, in four volumes. The Italian 1797, in three volumes. Gaston de Blondeville 1826, in four volumes, which was published after her death. The substantial payments she received for her works allowed her and William to travel with Chance in tow. Then she disappeared. Not that she was appearing in public much to begin with, but she became even more reclusive. There were rumours that she had been driven insane by her gothic writings. She died in 1823 aged 58. So apart from that we know she was short, beautiful, shy and clever. It’s not like people haven’t tried to write biographies of her… Christina Rossetti the poet who wrote The Goblin market tried but gave up as she just couldn’t find enough information. The most enduring of her works are The mysteries of Udolpho and The Italian. 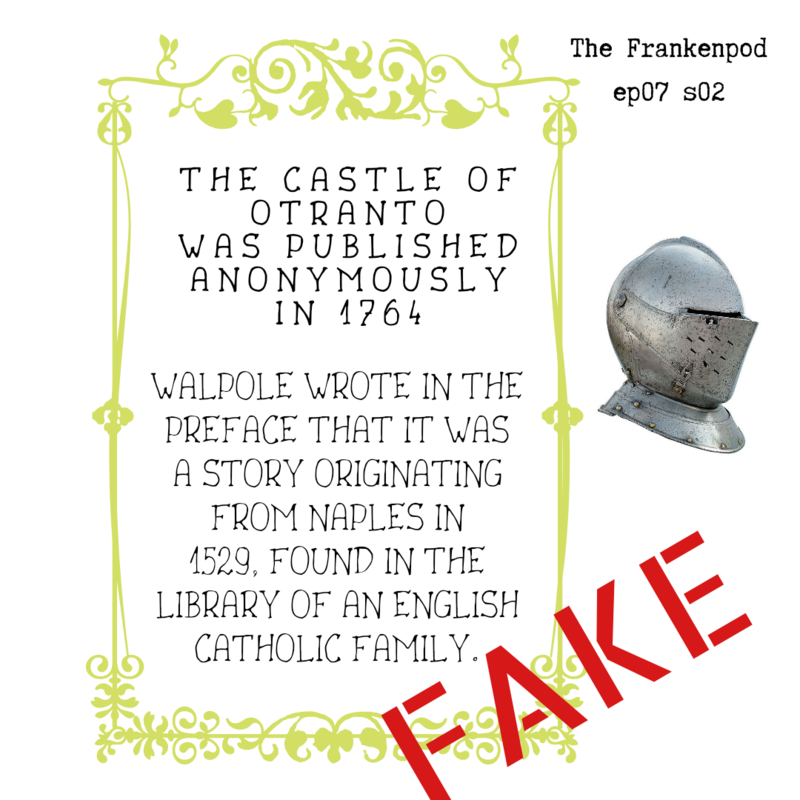 Posted on February 20, 2019 February 20, 2019 Categories Accompanying TextsTags Ann Radcliffe, ann Radcliffe summary, ann Radcliffe the Italian, ann Radcliffe the Italian podcast, ann Radcliffe the Italian summary, best book podcast, book podcast, classic gothic literature podcast, classic gothic literature., gothic literature, gothic literature podcast, literature podcast, mysteries of udolpho, mystery, novel, the Italian, the Italian ann Radcliffe 1797, the Italian book 1797, the Italian RadcliffeLeave a comment on Who the hell was Ann Radcliffe? This article accompanies our most recent episode on The Strange Case of Dr Jekyll and Mr Hyde written by Robert Louis Stevenson, author of Treasure Island. Robert Louis Stevenson was quite a character, he had bronchial trouble all his life but that didn’t stop him from travelling the world and having adventures. He was born in Edinburgh in 1850 and died in Samoa, over 15,000 kms away in 1894 at the age of 44. I found conflicting accounts surrounding his death, but regardless of the circumstances surrounding his demise, the commonly cited manner of death was a cerebral hemorrhage. 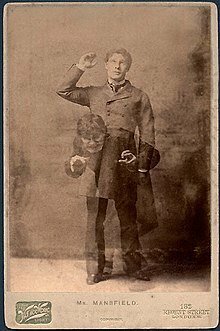 His story The Strange Case of Dr Jekyll and Mr Hyde was an immense success prompting people to guess at his inspiration for such an unprecedented tale. These days the story and its mechanics are so much a part of the collective consciousness that to think of it as unique and innovative seems strange. But in 1886, a time in which science was a consent source of curiousity and disquiet a tale of science giving license to acts of depravity and animalistic instinct the idea was not only timely, it was also inspiring, opening the door to many tales of its kind. It is a tale of a scientist splitting his personality in two so that he could effectively compartmentalise and quarantine those uncouth and problematic urges so that they could still be expressed, but without impacting on his status as a well-respected doctor. The fear of the evil potential of humanity, even the seemingly good and honest doctor, is represented in Hyde. Hyde is the ID, the animal. He operates for his own gratification so that Henry Jekyll can operate according to his superego. I don’t know Fruedian psychology that well so if I have used that wrong feel free to let me know. This week Morgan read the 1886 novel The Strange Case of Dr Jekyll and Mr Hyde by Robert Louis Stevenson and Brent watched the 2007 tv series Jekyll. The book is the story of a doctor and his terrible secret. The tv show is also about a doctor and his terrible secret except with shiny buttons, guns and Johnson from peep show. The Woman in Black is a story In which our hero, Spider the floofy dog, detects a problem… there is also some guy named Arthur Kipps who does a bunch of stuff. But the real story is about one floofy little dog who’s the bravest girl in the whole darn story. The Woman in Black is a ghost story that centres around the haunting of a house by a creepy, skeletal woman in black. A young solicitor Arthur Kipps gets sent to a creepy place a la Jonathan harker in Dracula. Kipps is sent to settle the affairs of Alice Drablow, a reclusive elderly lady who lives in a creepy house called Eel Marsh which is only accessable at low tide. Once the tide is in you are stuck there with the creepy shadows, ominous noises and scary wildlife. At the nearest town, Crithin Gifford, everyone is sending Kipps some serious don’t-go-to-Eel-Marsh-vibes. A spectre haunts Eel Marsh, a spectre that lures children to their deaths. There is a lot of child death in this episode. We try not to be too graphic, but if you’ve seen the movie you know that the graphic deaths are a huge part of the story. Not so much in the book. It is an atmospheric gothic horror that Susan Hill crafts drawing from classic horror stories. You can really feel the influence of the Brontës and Henry James in this book.